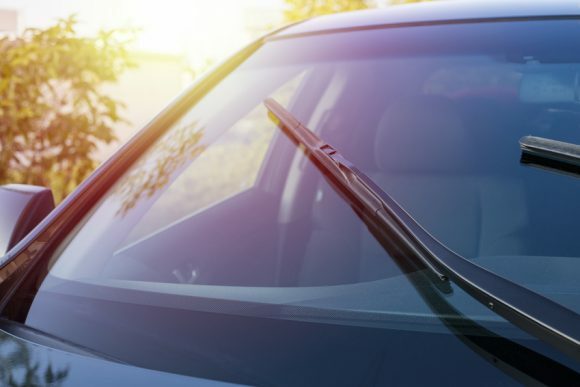 MORE than 50 per cent of vehicles coming off the assembly line in Europe are fitted with Valeo wiper blades* and they continue to look for ways to improve wiper performance and durability. Simplified packaging and online tools are also making it easier than ever to find and fit the right replacement. Valeo Service are the industry leaders in car wipers and wiping systems – their aftermarket range covers 98 per cent of the European car market – and they are continually looking for ways to improve wiper blade technology. One of the major recent improvements to wiper blades has been the development of the flat wiper blade. Where traditional wiper blades have between four and eight pressure points, flat blades feature hundreds of contact points. This creates a consistent pressure along the entire length of each individual wiper. The result for the driver is smoother, quieter and more consistent wiping, particularly at higher vehicle speeds and during intense use – when we need them the most! Combining this technology with quality manufacturing like the European-made Valeo Silencio® makes flat blades not only safer but much more durable than traditional wiper blades. Fewer replacements means more savings for drivers. Another major wiper breakthrough from Valeo has been the development of a wiping system that completely rethinks car windscreen washing: the Aquablade™. Because traditional wiping systems spray washer fluid from jets beneath the windscreen, there is often an uneven distribution of fluid, a high amount of fluid waste, a lack of effectiveness at high speeds, and a reduction in driver visibility while in use. The Valeo AquaBlade™ wipes away these flaws. Rather than projecting washing fluid on to the windshield, the fluid is instead distributed through channels along the entire length of the wiper blade. The windscreen covered by the wiper is therefore uniformly cleaned, regardless of vehicle speed or wind conditions. The perfect amount of fluid is always provided right where it’s needed, reducing fluid consumption by as much as half. Crucially, there’s no effect on visibility, meaning road safety isn’t sacrificed during a clean. The Valeo AquaBlade™ was a winner of a 2018 PACE Award for innovation. Because any loss of visibility directly affects road safety, it’s important to regularly check wipers and replace them as soon as they show any sign of wear that results in a loss of wiping effectiveness. Valeo recommends replacing all wiper blades at least every 12 months. Finding the correct replacement model is easy – each Valeo wiper blade packet clearly lists the makes and models of vehicles it’s suitable for. Each package also features a QR code linked to an online tool to help make finding the right wiper blade as simple as possible. Valeo wiper blades are extremely quick and easy to install – they can be replaced by anyone in a matter of seconds – and Valeo Service offers simple step-by-step fitting instructions on their packaging, as well as a range of instructional videos online. Valeo Service replacement wiper blades can be found at auto centres, at local garages and online. * based on 2017 European new car market.